Join walk leader Alice on Sunday, April 14, 2019 at 9:00am for a free walk around the Ridgecrest Neighborhood. 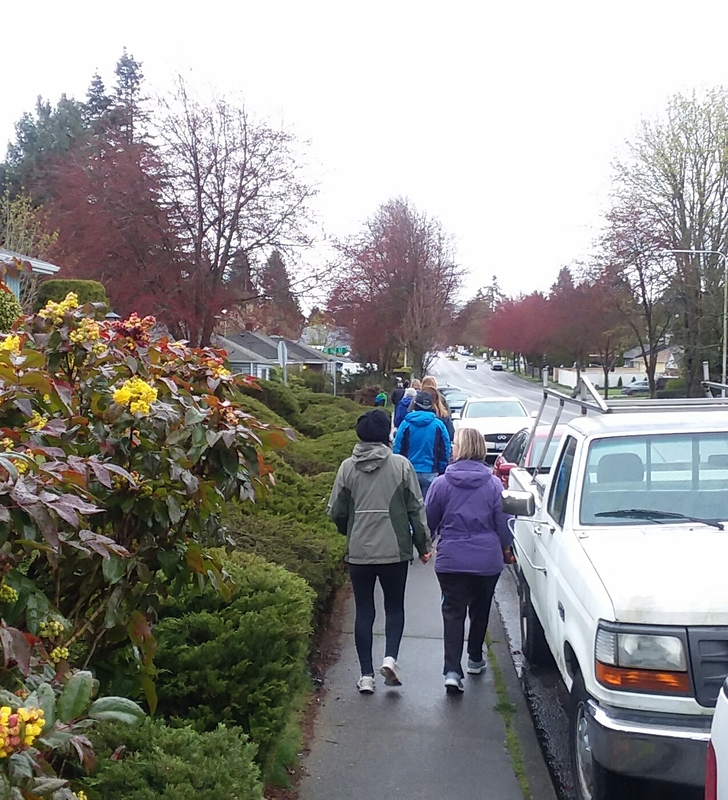 Walkers will meet in front of the Crest Theatre at 5th NE and NE 165th and participate in a two mile walk visiting both Ridgecrest and Northcrest park along the way. Walk is rain or shine, so bring your umbrella if it’s a little wet out. The free group walk is part of the City of Shoreline’s “Shoreline Walks” community walking program helping Shoreline adults stay active, meet new people (or connect with old friends) and feel safer and more confident exploring our city by foot. No need to sign up, just show up with your walking shoes! For more information on Shoreline Walks, see the webpage or call Recreation Specialist Marianne Johnson at 206-801-2638. Join us for a springtime walk around the Ridgecrest Neighborhood and visit two of the areas less visible parks. Rain or shine we’ll meet at the Crest Theater – if it’s raining, bring your umbrella.